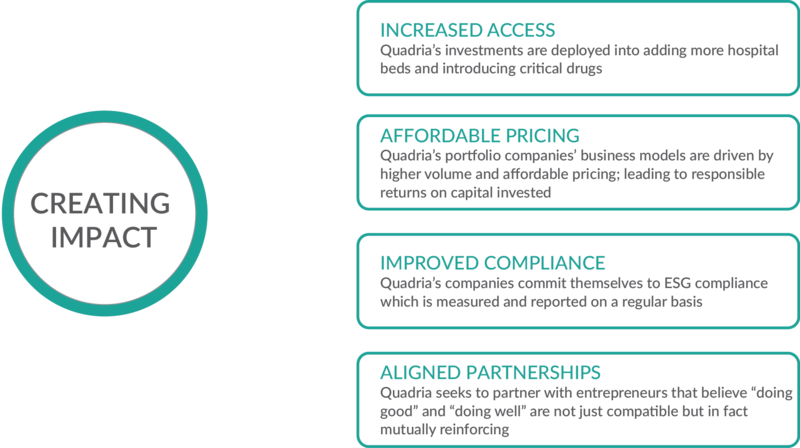 Quadria invests in healthcare businesses in some of the fastest growing markets, characterised by a large demand-supply gap for affordable healthcare services and products. Our actions, therefore, have an impact on society and the way that people live their lives. We believe that addressing the environmental, social and governance (ESG) issues is not only just the right thing to do, but critical for sustainable, long term value creation. Responsible investing is vital to Quadria’s success and it has become an integral part of our investment approach. Quadria Capital adheres to the Global Impact Investing Rating System and United Nation’s Principles for Responsible Investment. We believe that the goals of “doing good” and “doing well” are not just compatible but in fact mutually reinforcing. 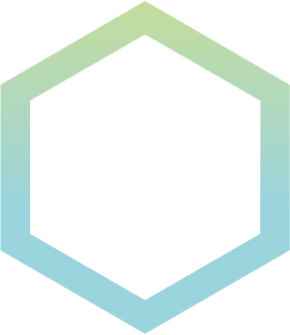 As a result, Quadria has integrated consideration of ESG impact into investment decisions and portfolio company management. Working closely with our portfolio companies, we help to identify and drive strategic initiatives that are uniquely impactful to the businesses. Quadria is among the 50 funds recognized globally and the only healthcare focussed fund on the list. The award validates Quadria’s effort towards responsible investment and goals of “doing good” and “doing well”.